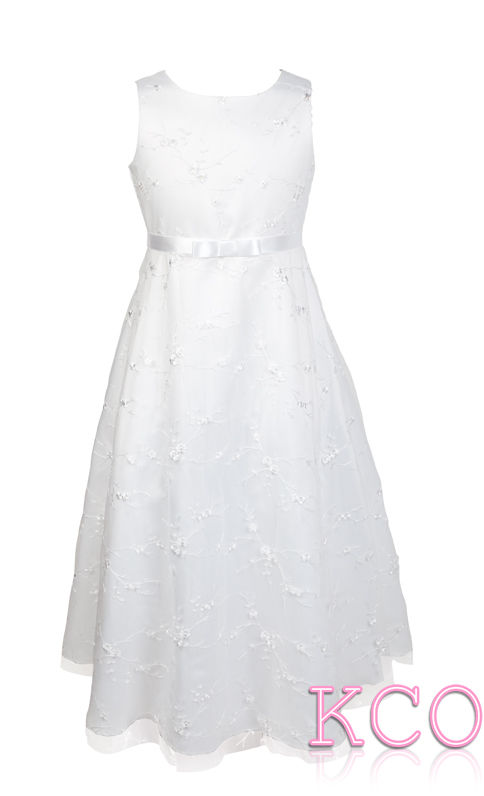 This beautiful girls first holy communion dress is breathtaking. A stunning flower detail embroiders the girls dress which gives the special occasion outfit a magical appearance. The neat satin bow along the waistband along the girls dress provides a sophisticated and simple contrast, while the wavy bottom half of the dress adds the finishing touch of elegance to the girls dress making it the perfect girls first holy communion outfit.